Words, words, words, as Annie Hathaway used to say when Bill Shakespeare was having one of those days. What’s a body to do? 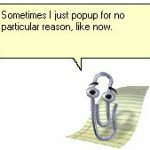 Recently, for example, a Harvard professor wrote to the Economist magazine to complain that he couldn’t open a Microsoft Word document using Windows 8. He demanded that the “competition enforcers” look into it, calling it an abuse of Microsoft’s monopoly power. There are also lots of free word processors available, all of which will open Word documents and general text like email attachments. We’ve used OpenOffice, AbiWord, YeahWrite, KingSoft Writer and others. They all work fine. However, Word and its imitators don’t make everyone happy. Bob remembers (and so does Joy though she doesn’t like to admit it) the good old days of DOS. This was the operating system back in the mists of time before Windows. The screen was black with green type, or sometimes blue with white type, which was the common look with old WordPerfect for DOS. It was easy on the eyes and conducive to long stretches of writing without strain. To get back to this look – sort of — you could use Word’s page color option to change the background color. But this doesn’t get rid of the bright menu bars at the top and bottom of the screen, or the bright blue borders along the sides and bottom. Also, any text you paste into this new blue box comes in with a white background, defeating the whole purpose of having selected the blue background. So you have to then mark it with the mouse and do the color selection process again. There should be a better way, and there is. Bob despises Microsoft Word. He maintains it’s the worst word processor ever created – okay, just one of the worst. The nub of his complaint is that it’s not designed for writers, which after all would be a fairly small market, but for typists. It’s for people who like to format things. In short, MS Word, as we call it, is aimed at the majority of people who write short documents. A lot of its functions have to do with selecting formatting and fonts and type sizes. It lets you center things and create tables and make lists in pre-set style sheets, which are all designed to comply with some pre-approved look. Writers don’t do formatting – that’s the publisher’s job. Writers write. All that other stuff, like the tool bars at the top and the drawing tool bars at the bottom, are a distraction. They do nothing for the writer. Since MS Word is for typists, what you, the writer out there, need and want is what’s called a text editor. These were initially created for programmers so they could edit computer code, and they are still used for that purpose. But for writers, they are the right stuff. Bob’s favorite text editors are JDarkRoom and Q10. Other very good ones worth checking out are OmniWriter, PureText20, DarkRoom (not to be confused with JDark Room and Notepad++. There are more and you can find them all with a web search. They’re all free. What you get when you use a program like JDarkRoom or Q10 is a plain black screen with green or white type, just like the old days in DOS. You can change it to a blue background and white type if you want, and there are a few other color combinations. There are no ribbons or toolbars and your writing fills the whole screen. This is the way WordPerfect used to look back in the days before it went into a death spiral and was purchased for cheap by Corel, a graphics company. The problem was, by version six – and some, Bob included, thought it was really by version 5 – WordPerfect became, well, perfect. That was twenty years ago, and to this day, some ColumbiaUniversity departments, and a number of lawyers, still recommend the old WordPerfect for DOS. Unfortunately for the company, becoming perfect meant there was no reason for the users to upgrade to new versions. Microsoft will never make that mistake. 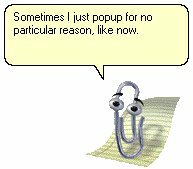 Some day, far in the future they’ll come out with Microsoft Word, version 50, which will add some weird feature that only one person in ten thousand will want. Everyone will be charged the usual price for the upgrade, of course. One final note: The absolutely, without a doubt, best word processor ever created was Atex, which was owned and then abandoned by Kodak. (Kodak management decisions are worth somebody’s doctoral thesis.) It was later revived as XyWrite, which worked on IBM desktop computers and was purchased by IBM. After a short time, IBM let it languish and die. After all, it competed with their in-house products. Old copies of XyWrite can still be found on places like EBay and they work if you’re willing to spend some time. A customized version of this word processor is still available, however, and is called Nota Bene. It is quite popular among academics because of its superb handling of footnotes and bibliographies. You can download a trial version at NotaBene.com. The phrase, by the way, is Latin and means to introduce a comment that further illuminates or expands what has been said.